Our Bezel Solitaire lab grown diamond engagement ring surrounds your center stone with a thin bezel to maximize light performance. Available options: platinum, 14k or 18k gold: white, yellow, rose. All of Ada's bridal pieces are fully custom and made to order. 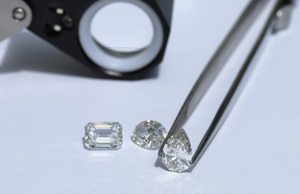 Discover why conflict-free diamonds cultured in a lab are the future of fine jewelry. Ada Diamonds Design Description- A sophisticated and elegant solitaire style that surrounds your center stone with a thin bezel to maximize light performance and command intrigue. Customize your solitiare engagement ring with band widths from 1.8-3.5mm, in a rounded comfort fit or knife edge style.